We crossed some wide open valleys today and had long gentle grades to climb and ascend. We also crossed an oblast boundary and are now six hours ahead of Moscow (8 hours ahead of Amsterdam, 16 hours ahead of Denver). Yesterday I heard a low whistle outside the tent. When I peeked out, I saw a teenage boy on horseback. “What time is it?” He asked and I told him. A while later I heard more sounds. This same time the same boy on horseback, but herding cattle across the meadow and by the tents. This mornings ride started with a nice gradual descent. The valley opened up and you could see for a long while. It reminded me of some wide open and desolate places in Nevada though was a little greener. At 18km we started a climb again. A gentle grade but long gradual climb. 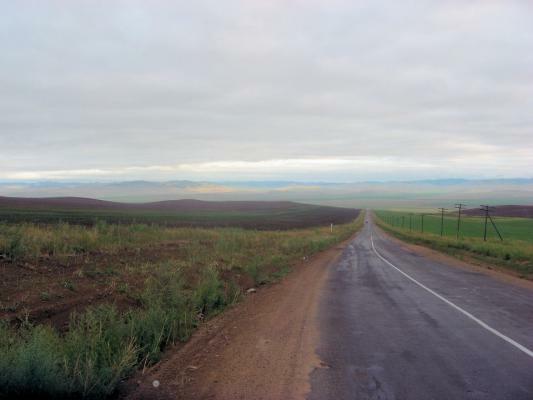 This was followed by several kilometers of descent and then a climb into Мухоршибирь at 32km. Unfortunately the cafe wasn’t yet in service. We asked some people and through misunderstanding thought there might be a cafe at the other end of town. We climbed two more low hills but nope, no cafe. From here we followed the road. Some areas were planted with wheat, some hay and also many just fallow grasslands. We passed two more villages. 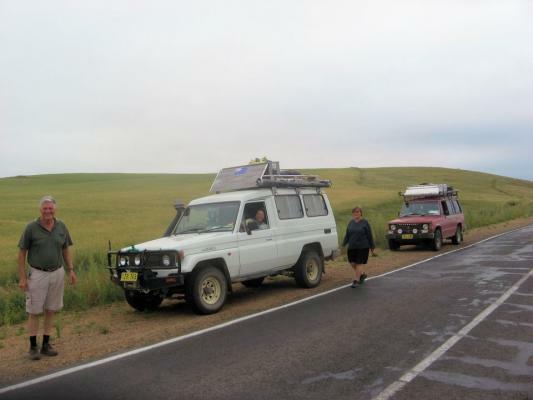 At 66km we met two Australian cars decorated with “Vladivostok to London”. It was nice talking with them about the road ahead (rough) their attempt to drive to Magadan (rained out) and similar things. I caught Mickey at the next bus stop. 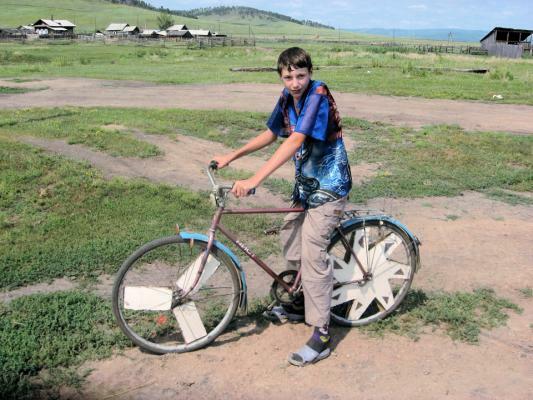 We cycled into Николск at 78km. The cafe here was shut, but we found a store in town. We were told of a cafe before Харауз so off we went up and over the hills. 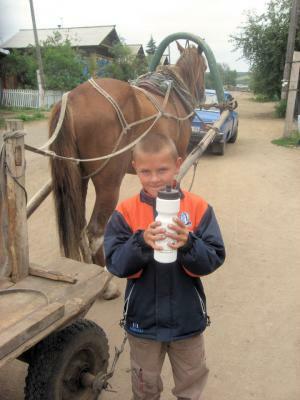 Along the way, at 88km we crossed into the Chita oblast and Moscow+6 time zone. One more descent and the first cafe of the day at 92km. We decided to get water in town and then cycled some more hills to find a camp site. A nice solid day of cycling today.